The Pittsburgh International Auto Show was in town this weekend. We went downtown to the Convention Center to check out some new cars (that we are not looking to buy). Since there aren't any old car shows in the winter, this seemed like the next best thing. Evy hopped in and out of every kind of vehicle possible - golf carts, mini vans, convertibles, SUVs, and trucks. 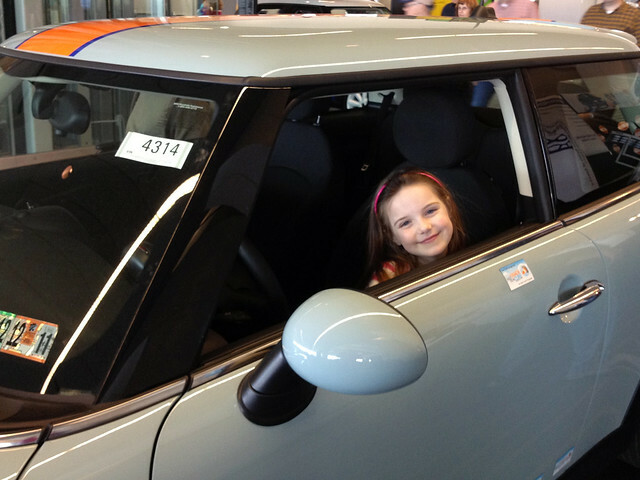 She especially liked this Mini Cooper with the orange stripe. Brandon liked the 100th Anniversary Corvette (priced at $126,000). But if you ask him what his favorite part was he'll tell you "the water." 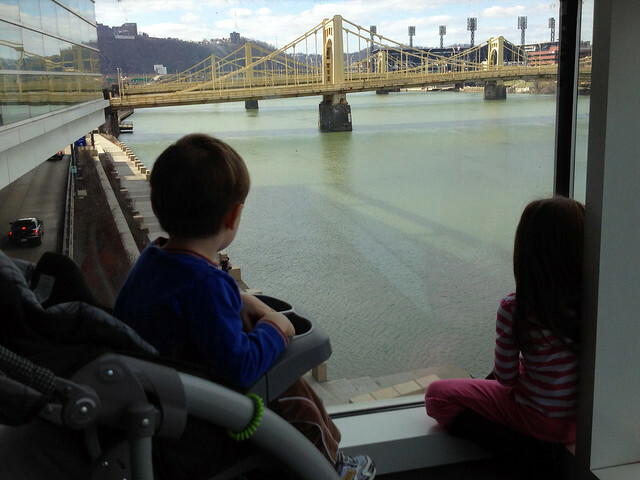 The Convention Center sits along the Allegheny River and has a great view of some bridges, PNC Park and the North Shore. More Auto Show pictures are on Flickr.